What a cool relic of times past Cathy. Great shot and description. Fantastic find and beautifully captured! Love the abandoned building! The mountain and Juneau gives great perspective to how big Alaska really is. What a great find and capture! You have captured a real piece of history here, excellent. 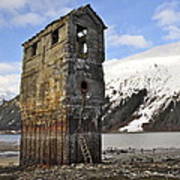 The long-unused saltwater pumphouse from the Treadwell Mine in Douglas, Alaska, still stands on the beach created by the mining operation. 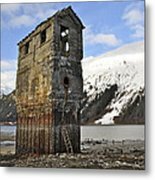 The Treadwell Mine operated in Douglas, Alaska, in the early 20th Century. It shut down following a fire and cave-in. 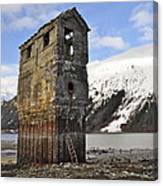 During its heyday, many thousands of miners and their families lived in Douglas, across Gastineau Channel from Juneau and the Alaska-Juneau Mine. The pump moved thousands of gallons of saltwater an hour for the operation of the mine. The remnants of this once booming complex are slowly disappearing into the past. 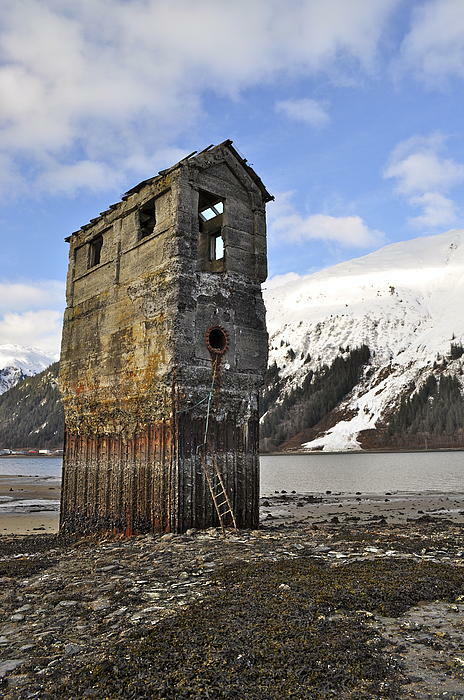 Behind the pump house, you see Juneau as well as an avalanche chute on Mount Roberts.